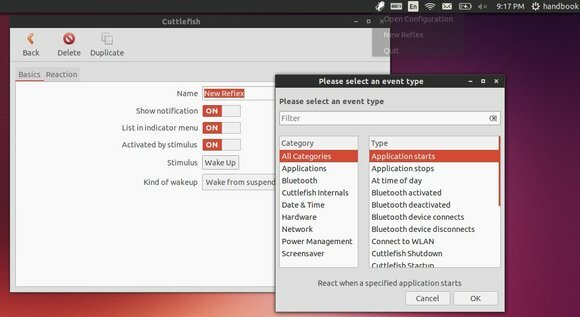 Cuttlefish is a simple tool, which realises reflexes on your computer by executing actions when specific events are triggered. You can configure the tool in such way that cuttlefish can for example change your default printer according to the currently connected wireless network. You can also lock/unlock your computer, when a specific USB device is dis/reconnected. The cuttlefish is available in Ubuntu 12.04 Precise’s repository. If you want to install this app on Ubuntu 14.04 or Ubuntu 13.10, besides building from source, you can use my PPA which contains the latest build released in December 2013. Fixed activate/deactivate reflex not show options. Fixed bug in start/stop application. hey,Just found this site and it rocks. But I wonder know where is the rss feed location? By mistake I have assigned stop application cuttlefish when the cuttlefish itself starts. Now I couldn’t open it. As soon as i open it it just get close as per it’s action. I tried uninstall and re-install it again. but still we couldn’t the same thing is happening. some one please help me up with it. uninstall and re-install does not work since it doesn’t remove the configurations by default. I’m not using Cuttlefish, but you may try removing Cuttlefish related folders under .cache .conf .gnome .gnome2 .cuttlefish. They are all hidden folders in your user Home (press Ctrl+H to show/hide them). hi im always reading your blogs and i love it men! i just got a problem when installing cuttlefish it says “Unable to locate package cuttlefish”. please help thanks in advance! 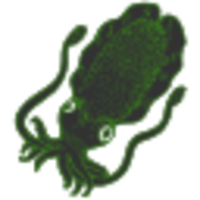 Install the “cuttlefish_13.12~trusty_all.deb” package for ubuntu 14.04. When this is going to be available for 16.04?